You should change the default username WordPress gives you for security reasons. Admin is the default username which WordPress gives you. 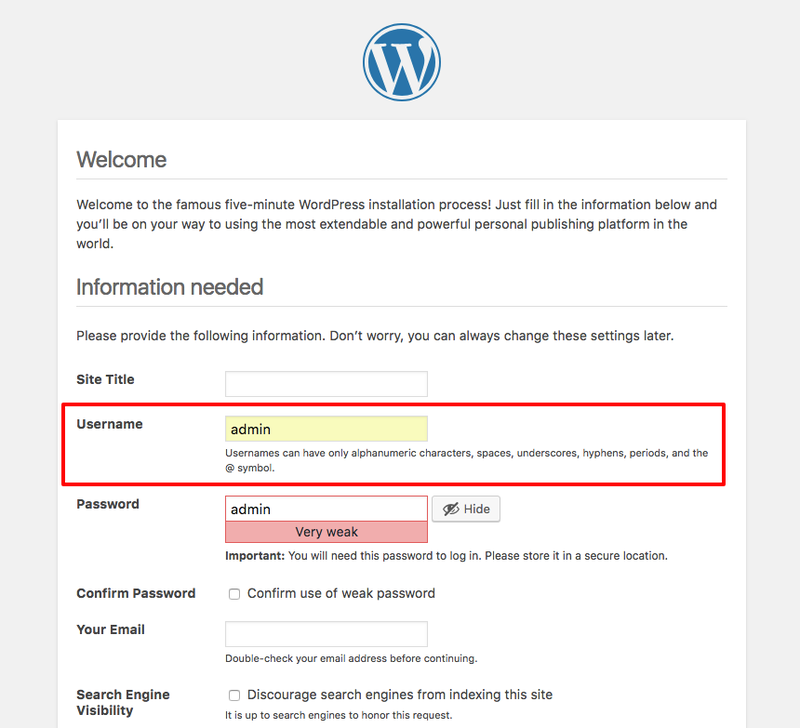 WordPress installation admin username, change this for security reasons. 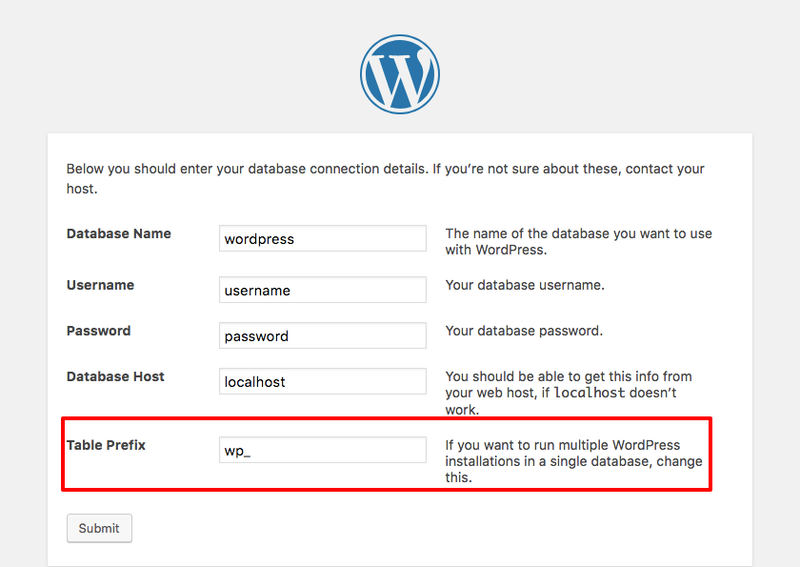 The default database table prefix WordPress gives you is wp_, change this to something different to fend off most security threats aimed at the database. It could be a random string of text or the name of your site for instance. WordPress installation table prefix, change this for security reasons.